A new EU regulation on personal protective equipment (PPE), which came into effect on 21 April, will mean laser eyewear manufacturers will have to place a shelf life and an operational life on their products. PPE regulation 2016/425 will have significant implications for manufacturers and users of laser safety eyewear. Manufacturers will have to put a date stamp on their products and give them a shelf life as well as an operational life once they are sold – both time periods are yet to be defined – after which the user will have to scrap the eyewear or have it recertified as being fit for purpose. The new PPE regulation was established in 2016 with a two-year transition period, which ended on 21 April. Products made before 21 April are allowed to be sold within the next 12 months, as long as the certificate is valid until April 2019 – the old certificates will not be renewed. The directive covers all personal protective equipment including laser safety eyewear. Manufacturers of PPE now have to, firstly, provide a certificate of conformance for their product; secondly, manufacturers or resellers are responsible for ensuring that PPE is fit for purpose; and the third change is that manufacturers must specify a rated shelf life and operational life for their products. Robert Yeo, managing director of Pro-Lite Technology, updated members of the UK Association for Industrial Laser Users (AILU) about the changes to the PPE regulation at AILU’s annual general meeting on 26 April. 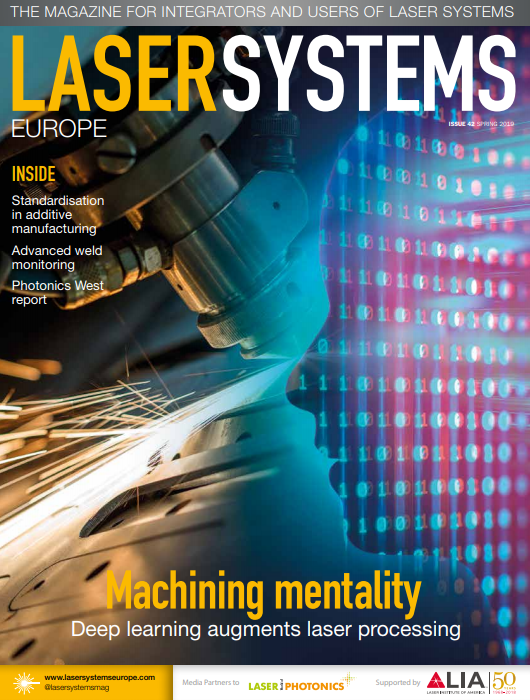 Speaking to Laser Systems Europe, he explained that the EU was attempting to solve the problem of end users buying PPE based on price from internet resellers without any technical consultation, which is especially dangerous for equipment like laser safety eyewear. Pro-Lite distributes laser safety goggles from Laservision, part of the Uvex Safety Group. ‘As resellers we [Pro-Lite] are responsible for ensuring that what we sell is suitable for the application,’ Yeo commented, adding that the company, as a matter of course, would match the eyewear it sells to the type of laser, based on various calculations. 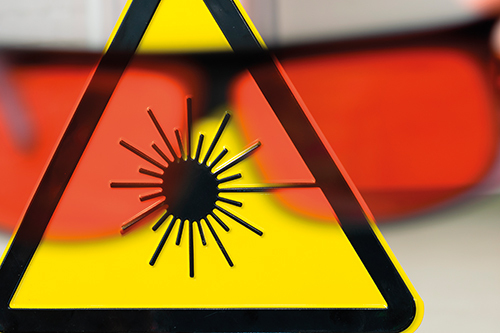 Putting a shelf life and an operational life on laser safety eyewear is, however, a new requirement for manufacturers of laser safety equipment. In the wider context of PPE – where most of the products, such as gloves, shoes and respirators, are cheap or disposable – defining an operating period doesn’t have a huge cost implication. But for laser safety eyewear where the average selling price is typically hundreds, or in some cases for specialist applications, thousands of pounds for a pair of goggles, ‘the fact that the EU is now demanding that the product theoretically has to be thrown away after a certain period of time becomes an expensive problem’, Yeo remarked. Pro-Lite advises users not to scrap eyewear after it has exceeded its operation life, but they should speak to the supplier who can advise if it’s possible to return it to the manufacturer so that it can be recertified. Companies have to submit products for independent testing in order to sell laser safety eyewear; manufacturers cannot self-certify. To apply a CE mark to the eyewear, manufacturers have to conform to the European PPE directive and the European standard EN207. EN207 takes into account the optical density of the filter – the percentage of light transmitted through the filter – along with ensuring the eyewear can withstand the power density from the laser for five seconds or 50 pulses. The level of protection for a specific laser will depend on factors like wavelength, power or energy of the laser, the size of the beam, pulse repetition frequency and pulse length, among other criteria. Eyewear filters are tested to destruction to determine their damage threshold. EN207 was last revised in 2017 and takes into account the beam diameter of the laser. The revision effectively forces the user to buy slightly more protective eyewear for continuous wave lasers. This could put manufacturers in a dilemma, and it’s basically a question of risk management. Manufacturers will have statistical data on the lifetime of their products, but this has to be balanced against the user taking legal action if something goes wrong. On the one hand, manufacturers don’t want to make lifetimes too short because that will put them at a commercial disadvantage compared to other suppliers – this equipment isn’t cheap – while on the other hand, an indefinite operating life could result in a lawsuit if the product fails after a certain period of time. ‘Laser safety eyewear is effectively going to be treated as disposable [under the new PPE directive],’ Yeo said. The new PPE regulation puts the emphasis on the manufacturer or reseller to ensure the product sold is fit for the customer’s purpose, which for specifying laser safety equipment can be quite complex. Users normally need expert guidance. Software can help – Lasermet is the sole supplier of LaserSafe PC laser safety calculation software – while Laservision has designed a demonstrator product that uses RFID to match the protective equipment to the laser type to make it easier for the user to ensure they are protected. Laservision will be showing the demonstrator at the trade fair Lasys, in Stuttgart, in June. Laservision will show several eyewear products equipped with RFID tags at Lasys. Users can scan with a smartphone RFID reader to bring up various product specifications, including laser protection levels, user manuals, cleaning advice and spare part or accessory lists. A second RFID could be placed on the laser device containing its specifications, so that the laser can be matched to the correct safety eyewear, depending on how the laser will be used. LaserSafe PC software, from Lasermet, is designed to assess the hazards and the level of protection needed for a laser installation – ‘what you want is to be able to verify that all [safety] eventualities are covered without testing every one. This is where the value of good laser safety calculation software comes in,’ explained Jim Webb, the software’s author and owner of GL Services, the company that makes the software. Working closely with the late Professor Bryan Tozer, who founded Lasermet and helped write the forerunner to the BS 60825 laser safety standard, Webb developed the software originally for assessing safe scenarios for lasers used at the BBC. ‘Good software enables laser safety officers to make informed decisions regarding laser safety once they are provided with the right laser protection information conforming to the appropriate standard,’ Webb continued. The standards are IEC/EN 60825 for Europe (EN207 is just for laser eyewear) and ANSI Z 136 or CDRH 21 CFR 1040-10 for the USA. Software calculations are only as good as the data the user puts in, but laser safety calculation software can help to engineer a safe laser solution. One example that Webb gave was a laser enclosure where the cabin roof had to remain open to the rest of the manufacturing facility. An assessment was made about whether the laser used would pose any threat to those nearby if the beam pointed upwards and reflected off the underside of the building. Calculations made using LaserSafe PC software showed that under the worst potential scenario there would be so little laser radiation exposure that the situation was deemed to be laser safe and therefore conformed to the EN60825-1 laser safety standard. No laser test firings were necessary for the enclosure because of the engineering controls in place, and the certification that the materials used in each of the modular wall panels complied with the EN60825-4 levels for power density. The calculations showed the amount of laser energy transmitted to the laser cabin walls was well within limits specified for the permissible exposure level (PEL) and therefore safe. recommendations for equipment and enclosures based on the required standard, and it provides documentation. The storage and operational lifetime of laser safety eyewear will most likely differ depending on whether the filters are made from polymer or mineral glass. Mineral glass is generally used to protect against higher powers, but polymer filters are preferable, because they are lighter and the goggles are more comfortable to wear. Mayerhofer, at Laservision, noted that there’s a trend towards using polymer safety windows over glass versions, as polymer windows can be made larger, up to 2 x 3 metres if necessary – glass windows are restricted to A4 size. UK optical filter manufacturer, Brinell Vision, is now starting to coat complex Bragg mirrors onto plastics, which has only been possible on glass till now. The firm’s Adam Brierley presented the technology at AILU’s annual general meeting in April. A Bragg mirror is a stack of high and low refractive index coatings that creates interference. By selecting the right materials with the correct coating process, Brierley explained that the absorption properties of the mirror can be reduced down to fractions of a per cent, less than 0.1 per cent absorption, for instance. This gives an almost 100 per cent mirror coating. In this way, the power handling of the plastic is enhanced because most of the energy is reflected away, while at the same time the laser blocking is increased as less laser light gets through. Brierley said that a low-level laser coating would be around 24 to 30 layers, but higher powers coatings can reach more than 60 layers. Typically, a 12-layer coating would give an optical density of one, according to Brierley. Going to 48 layers might just about achieve an optical density of three. ‘A combination of absorbing plastic with a high reflection coating would take its power handling up to that provided by glass – roughly 1kW/mm2,’ he explained. There are some glasses that can go up to 10kW/mm2, but these would tend to have both absorption and mirror coatings. The ability to put a Bragg mirror coating on polymers is thanks to advances in the coating deposition process. High temperature deposition can be used to coat glass substrates, but this is unsuitable for working with plastics. ‘We’re now using much more sophisticated coating methods to give the same quality of coating at 60°C,’ Brierley said. There are additional benefits to applying coatings to plastic laser filters, such as enhancing visible light transmission and colour balance to make the eyewear more user friendly. Plastic safety goggles are also much more comfortable to wear than those using heavy mineral glass, which is especially important if the user is wearing the goggles for long periods of time, as might be the case for surgeons or operators of machinery. Here, the introduction of plastics with good laser handling is useful. Brierley also noted that lasers are now being used for cleaning surfaces, a job that can take many hours and where comfortable safety eyewear comes into its own. New laser technology can also generate some unanticipated hazards – ultrashort pulsed laser processing can produce secondary radiation, notably soft x-rays from the plasma formed when machining metals at high energy densities. The levels are very low – similar to the exposure levels of soft x-rays from flying at 12,000 metres according to Mayerhofer at Laservision. However, he added that the hazard still cannot be underestimated, and there’s no measurement device so far for the levels of radiation produced. Whether or not the revised EU PPE regulation will curb laser users buying cheap safety eyewear without technical consultation remains to be seen. Whatever happens though, laser safety eyewear manufacturers have a year to decide on the operational life of their products.